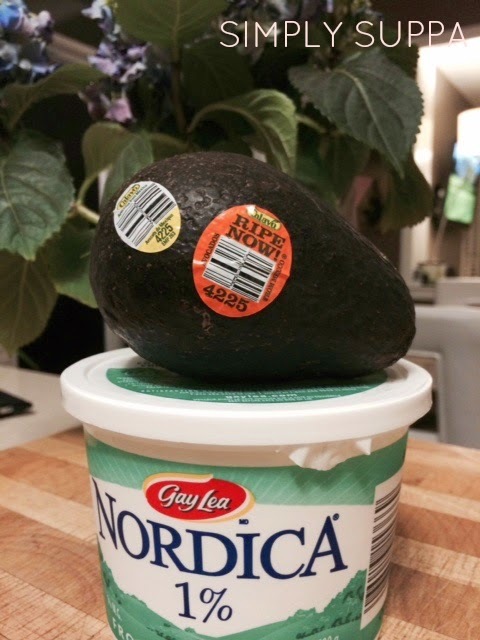 What do you get when you mix avocado with cottage cheese? You get a Creamy Guacamole! I personally LOVE guacamole -- the blend of salty and tangy and creamy from the avocado is awesome. I do know a few people, though, (where did you come from?!) that don't like the taste of avocado, and find it too overpowering. To them, I say, "Boo You! ", but also, "Here's another great option!" 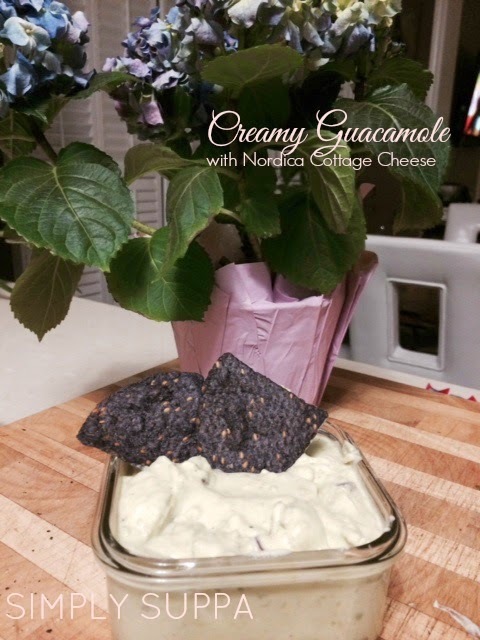 I give you Creamy Guacamole, featuring Nordica Cottage Cheese by Gay Lea Foods. I love this recipe because it's easy to make, easy to eat and doesn't create a lot of muss or fuss in your kitchen. 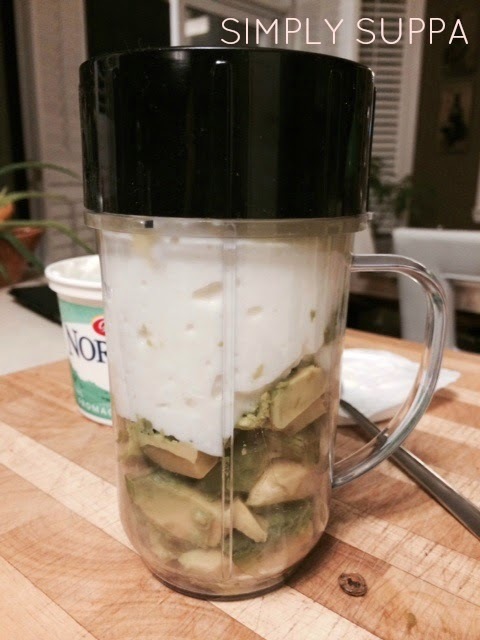 Using a food processor, blender, or whatever you have, blend the cottage cheese with 1 whole avocado, chopped. Blend until smooth. You may want to leave some chunks of avocado for consistency and texture -- up to you. Add your onion, cilantro (optional), lime juice and stir. Salt and pepper to taste. That's it, that's all. The result is a guacamole that is ultra smooth, a bit sweeter than traditional guac and very, very creamy. It's great if you want to add some more calcium to your life or don't like the complete taste or texture of avocado. This recipe works for kids and babies too! Now that the warm weather is upon us, this creamy guac would go amazingly well with a slushy margarita (mine will be virgin, of course! ), or as an appetizer or topping for a taco night or Mexican-inspired party! Want to try this recipe for yourself? Well, you're in luck! Gay Lea is offering Simply Suppa readers the chance to win a year's supply of Gay Lea Products! All you need to do is enter below!